Many gyms have foam rollers these days – but do you actually know what to do with them? Here’s everything you need to know about foam rolling. What Is Self-Myofascial Release (SMR)? Should I Be Using a Foam Roller? When and How Often Should I Foam Roll? 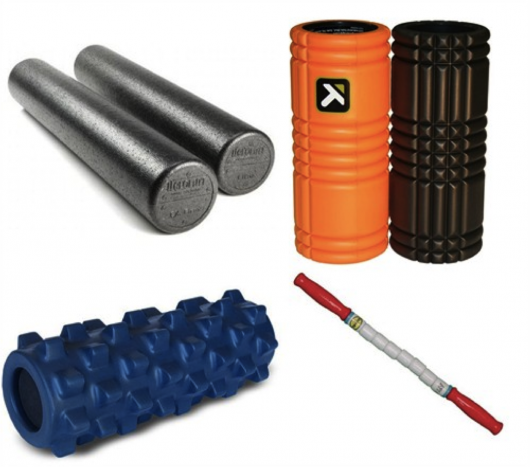 What Foam Roller Size to Choose? Self-myofascial release, also known as “foam rolling,” once used only by professional athletes, coaches, and physical therapists, has become popular practice for people at all levels of fitness. Foam rollers are also popular as rehabilitation tools for people who are in the process of healing from back, hip, and leg injuries. 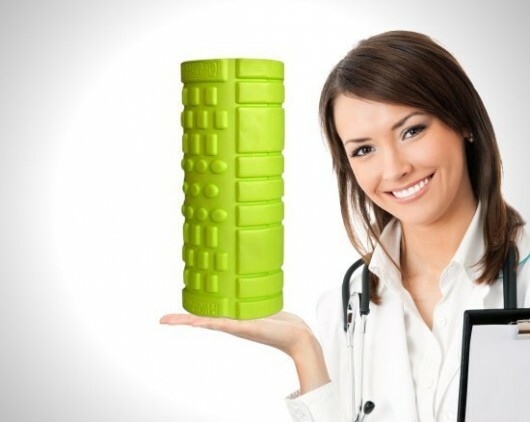 A foam roller is a cylindrical tool between five and ten inches in diameter made of foam of different firmness. It can be between twelve inches to several feet long, depending on intended use. Sometimes, the color of the roller denotes the density or firmness. If you are new to foam rolling, or if you have particularly tight muscles, start with a softer foam roller. As your body gets used to the feeling, build up firmness. You roll on it, literally. Using your own body weight, you roll at a specific angle on the foam roller at a specific body part. As you roll back and forth, the foam roller penetrates your muscle and it feels like a deep-tissue massage. Because you use you own body weight and movements, you can control the speed, length and pressure on your tissue. Think of foam rolling as ironing out the wrinkles in your rumpled muscle tissue. Foam rolling smooths and lengthens your muscles, and breaks up adhesions and scar tissue. Adhesions can create points of weakness or susceptibility in the tissue, which can lead to injury or chronic pain. Foam rolling also increases blood flow to your muscles and creates better mobility. This helps with recovery and improves performance. and best of all – you get the benefits of a traditional deep-tissue massage without needing a masseuse! Self-Myofascial Release is a type of deep-tissue massage. Trigger point therapy, active release, deep-tissue massage – they all mean similar things. The technical term, however, is Self-Myofascial Release. What does that mean, exactly? Release – the goal is to release tensions (“trigger points”) in the fascia that were caused by exercise, bad posture, or inflammation. Trigger points are areas of muscle that are made of thick, tough and knotted tissue. Sometimes, trigger points can be accompanied by inflammation and if they remain long enough, what was once healthy fascia is replaced with inelastic scar tissue. These trigger points are caused by physical trauma from over training, poor posture or movement mechanics, or inadequate rest between training sessions. They may lead to a variety of sports injuries, from cramps to more serious muscle tears. Eventually, they can result in fatigue, chronic pain and injury and less efficient motor skill performance. An athlete’s worst nightmare! Self-Myofascial Release is the technique used to alleviate these trigger points. How Does Self-Myofascial Release Work? Deep-tissue massage helps to break up and relax trigger points, the tight muscles and adhesions formed between muscle layers and their surroundings. It’s practically a muscle tenderizer! The deep compression of the muscles allows normal blood flow to return and restorates the healthy muscle tissue. Researchers at the School of Human Kinetics and Recreation at the Memorial University of Newfoundland, Canada, found that self-myofascial release increases range of motion without a subsequent decrease in muscle activation or force. Another study performed by scientists at the University of Rhode Island found that muscle fatigue after foam rolling was significantly reduced. No more sore muscles! A second study from the Memorial University of Newfoundland, Canada, found that using foam rollers for SMR increases the range of motion of the hamstrings in, without affecting muscle strength. Foam rollers were also examined as tools to improve arterial function in a study performed at the Department of Exercise Physiology of the Nippon Sport Science University in Tokyo, Japan. The researchers found that SMR using a foam roller reduces arterial stiffness and vascular endothelial function. In other words, using a foam roller is also effective for improving blood circulation. If you often grip your shoulder and try to massage out knots, or if you commonly experience muscle soreness after exercise, you are a great candidate for using a foam roller. The key is to find trigger points; you’ve found a trigger point when you place slight pressure on the knot and pain radiates out to other areas. Applying pressure through foam rollers can feel uncomfortable or slightly painful in the moment, but the pain, as well as the soreness, is often released shortly afterwards. Wait, Why Does Foam Rolling Hurt? The feeling of rolling can range from a slight pressure to pain. But feeling pain when foam rolling isn’t always bad. The level of pain depends on how tight and sensitive your muscles are. Stretching alone can help relieve general soreness, but it cannot release trigger points, which is why the foam roller is such an useful tool for your overall wellbeing. When you place the right sort of pressure on trigger points, it forces the lumpy muscle tissue to “break up”, which can cause some immediate pain. Releasing trigger points allows your muscles to re-establish proper movement and muscle function as well as proper circulation. This will get your body back to the point of normal functioning, as if nothing was ever wrong, so that you can go about your day without pain. Foam rolling should be done before stretching, because it improves the tissue’s ability to lengthen during the stretching activities. Foam rolling can also be done as part of the cool-down. If you are training 3-5 times a week, you can foam roll right after each workout. Spend 15 minutes foam rolling and 10 minutes stretching, and you’ll probably feel better and recover faster, which means your next workout will be more effective. To foam roll properly, you use your bodyweight to apply moderate pressure to a specific muscle using the roller. Roll slowly, no more than one inch per second. When you find an area that is tight or painful, pause for 15-20 seconds and relax as much as possible. You should then slowly start to feel the muscle releasing, and the discomfort or pain should lessen. If it is too painful o apply direct pressure, shift the roller and apply pressure on the surrounding areas and gradually work to loosen the entire area. The goal is to restore healthy muscles – it is not a pain tolerance test. Never roll a joint or bone and avoid rolling your lower back. If you have never used a foam roller before, it is important that you get guidance from a specialist, whether a physical therapist or a personal trainer with experience. While the foam roller is an effective therapeutic tool, it is important you use it correctly because, as with all therapeutic tools, you can hurt yourself if you aren’t sure of what you are doing. Below are three tips you can follow to help avoid injury on the foam roller. First, if you are using foam rollers as a therapy for a specific injury, like iliotibial band syndrome (IT band injuries), than make sure you ask your doctor exactly where you should be feeling the pressure. It is often that it feels good to roll right on top of where you feel the pain, but it could worsen your condition if you are not careful. In order for the triggers and adhesions to release, it is important that you take your time in rolling back and forth to give the muscle time to release. Roll slower where the tension is so that the tissue can settle. Using foam roller to roll over where it hurts can help release the tension, but spending too much time can actually add to the damage. When you find a trigger point, stop and just rest on the foam roller for 10 to 20 seconds. Contrary to popular belief, it’s the pressure, not the rolling, that smooths the muscle tissue. 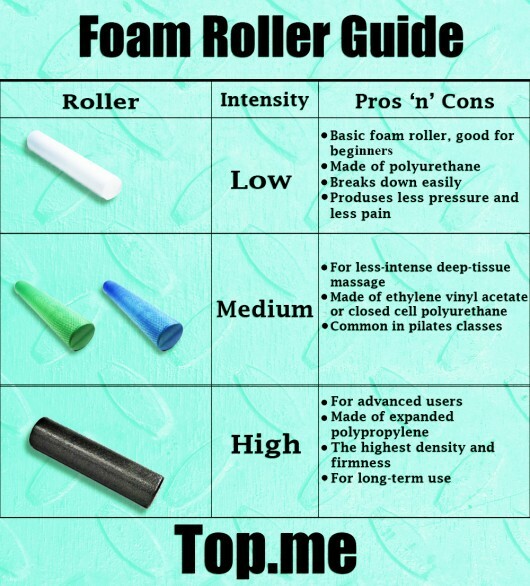 Foam rollers can be a great tool, but this equipment may come with some risks if it is not used correctly. Some areas and tissues should not be involved. Your spine, bones, and joints should not be rolled with foam rollers because there is a risk that you could cause damage or injury. Only soft tissues should be rolled out in order to get the desired results. You should also avoid the lower back area and the neck in order to prevent any damage or injured tissues. Before you start using a foam roller on your own, it would be a good idea to get instruction from a professional physical therapist. If you have any pre-existing conditions, you should get approval from your physician. Any area or muscle group that is injured should be avoided. There are a range of foam roller movements you can follow depending on the area that is bothering you. Position yourself face up on the foam roller on your lower back, your legs bent slightly and your arms stretched out to your sides. Roll slightly to your side so that you are on the muscle supporting the spine rather than on your spine directly. This is very important. Slowly end your knees further so that the foam roller rolls up your spine and roll back. You should feel this directly on your muscle. Continue rolling on the same side for 30 seconds to a minute and roll slightly over to the other side to do the same on the opposite muscle set. Without moving your body’s position, move the foam roller under your buttocks and shift to one side. Straighten your legs slowly so the foam roller goes up and down your buttock. Repeat for 20 seconds to 1 minute and switch sides. Lie face down in shoulder plank position, and bring your right leg bent out to the side. Place the foam roller on your inner thigh so that it is perpendicular to your bent leg. Use your arms to move your body up and down on the foam roller. Begin face down on your hands and knees with the foam roller underneath your chest on the floor. Bring your right knee toward your head and rest you right shin on the foam roller. Bend your arms slightly to get the right amount of traction, and use your left leg, still straight, to control the pressure and the movement. Remember to keep your ankle relaxed. Continue for 30 seconds to 1 minute and switch legs. Running is a full-body exercise that uses leg muscles as well as back and abdominal muscles. You can follow the moves below to release this pain using a foam roller. Sit on the floor with your legs stretched ou, optionally with the ankles crossed for added weight, resting on the foam roller at your ankles. Place your hands on the floor behind your back for support. Lift your buttocks up slightly off the floor and push yourself down so that the foam roller rolls up towards your knees. Continue for 30 seconds to 1 minute and switch the cross of your ankles to repeat on the opposite side. Bring the foam roller on your upper leg right below your buttocks. Keep your hands on the floor behind your back for support and movement. Use your arms to bring your body towards your hands, and the foam roller should roll from your upper leg to your knee, massaging your hamstring. Repeat for 30 seconds to 1 minute. Start in plank position with arm bent and bring the foam roller right below your lower hip. Bring the upper leg across the lower leg and rest your foot on the ground for support and movement. Use your bent leg to move your body up, bringing the foam roller towards your knee. Repeat for 30 seconds to 1 minute. Switch sides. Start in a similar position as the IT band movement, but bring the foam roll on your rib cage below your armpit. Your top leg should be bent with foot on the floor behind the lower leg. Stretch out the top leg so that your body moves up and the foam roller rolls down your side to massage your lats. Repeat, slowly, for 30 seconds to 1 minute and switch sides. 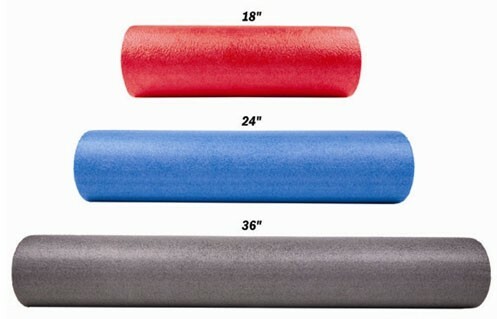 Choose a white foam roller or one that is softer. Avoid ridges such as on The Grid foam roller to start, as they may penetrate your muscle too hard if you aren’t accustomed to the feeling. Try first a half-foam roller to build balance and get used to the feeling of foam rollers on your muscle. Use a longer foam roller such as the ProSource one (at least 24”) since you will be less likely to roll off as you gain balance. Use a medium density, or blue foam roller. Consider the Trigger Point Hollow Foam Roller, which is a two-in-one version with both a soft, The Grid-like foam roller, and a smoother, less rigid foam roller. You can experience with texture, ideally light ridges or a surface with both bumps and smooth areas, such as on The Grid, rather than the highly textured rollers. Use a firm foam roller. Physiotherapists like smooth yet rigid foam rollers, such as the EPE High Density Foam Roller, because they are more flexible in pressure application. If you still don’t feel that the muscle penetration is deep enough, pick a textured foam roller such as The Grid with medium to deep ridges. The differences in size don’t necessarily have different functions; rather there is a difference in price as well as compactness. The most comfortable ones for exercises are the 36” foam rollers since it is less likely that you will roll off or lose balance. 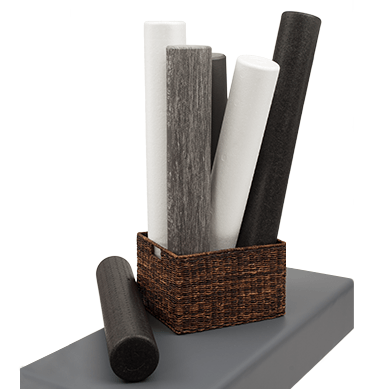 The shorter foam rollers are not only cheaper, if you have a limited budget, they are also more compact. 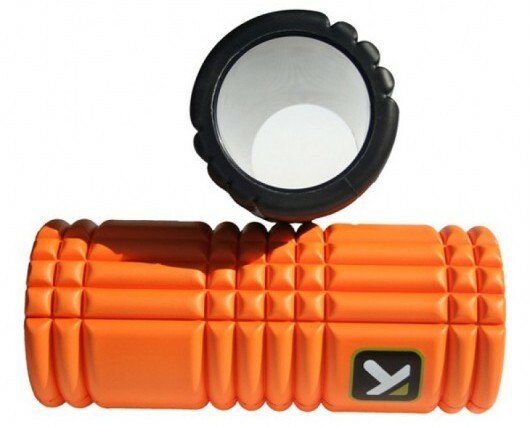 For travel use, consider a small foam roller like the Trigger Point Mini. In a separate article, we have tested the most popular foam rollers and found a surprising winner, both in terms of overall value and results. Check our guide to the best foam rollers. 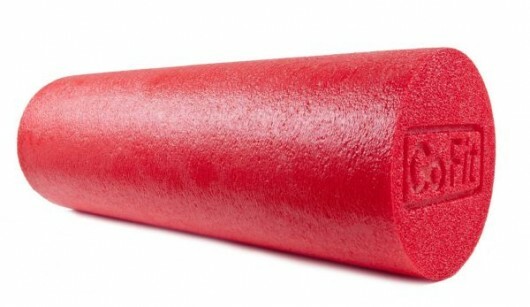 Foam rollers can be effective tools to improve your athletic and overall performance, flexibility and physique. They have gained popularity over the years as a therapeutic tool as well as a training tool. After initial instruction, it is possible to use foam rollers independently, as long as you follow guidelines from professionals. Ready to roll?